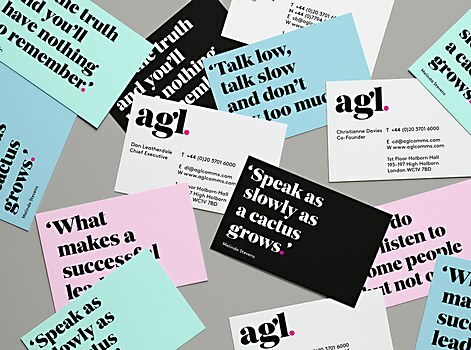 The graphic language of the written and spoken word is embodied in this identity for communication consultant AGL. 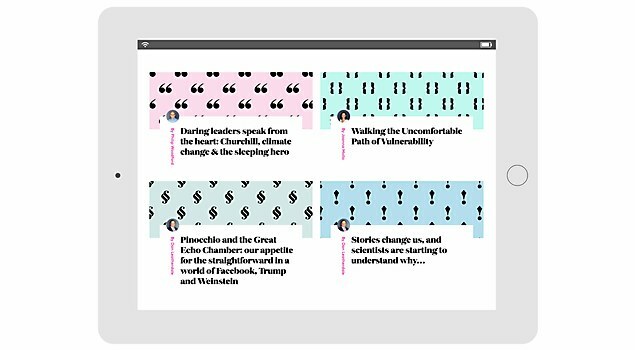 Background: London, United Kingdom–based communication consultant AGL uses coaching, writing and insight to help current and future leaders to be authentic, confident and communicate their ideas with clarity. 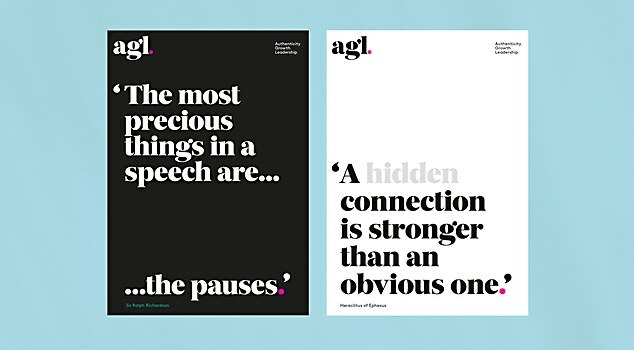 However, AGL realized its brand identity no longer accurately represented the reality of the business or the value of its expertise. 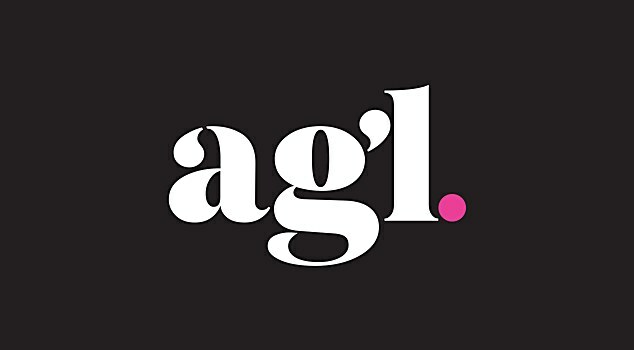 We worked with the AGL team to refine and distil a clearer brand strategy and create an entirely new visual identity. 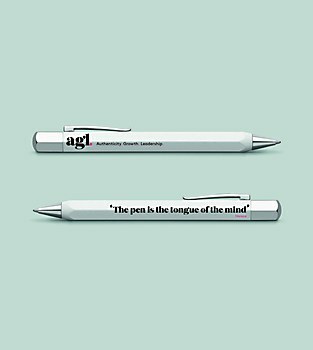 Reasoning: AGL is very much involved in language: clarity of articulation, simplicity of ideas and confidence of expression. 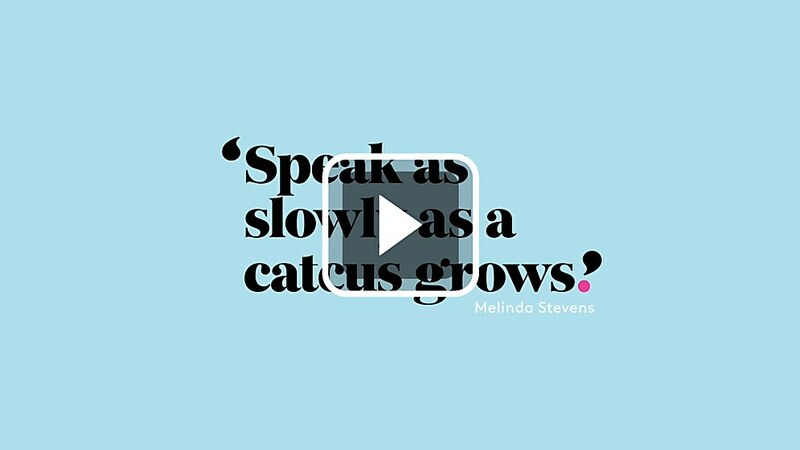 This led us to consider a typographic solution, using the graphic language of the written and spoken word. 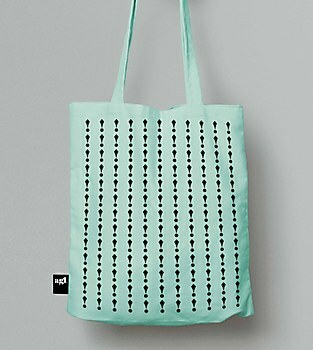 It’s a design solution for the glyph spotters, punctuation nerds and typoholics out there. 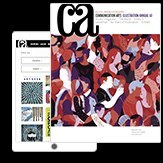 Challenges: Getting the logotype just right was a challenge of craft and patience! It was important that the terminal of the lowercase a and the ear of the lowercase g also functioned as inverted commas when used elsewhere in the system. This dual purpose meant that we needed to redraw both characters to allow this to work. Favorite details: That we were able to take AGL on a journey with us. 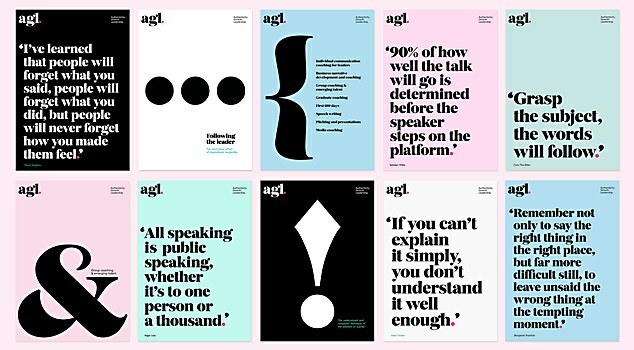 From our earliest strategic conversations, we’ve guided AGL towards a design destination that it wasn’t expecting, but now feels absolutely right. 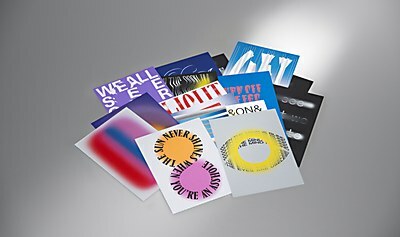 I’m also pleased that we managed to get those hidden inverted commas in the logotype to work. It was well worth the effort! 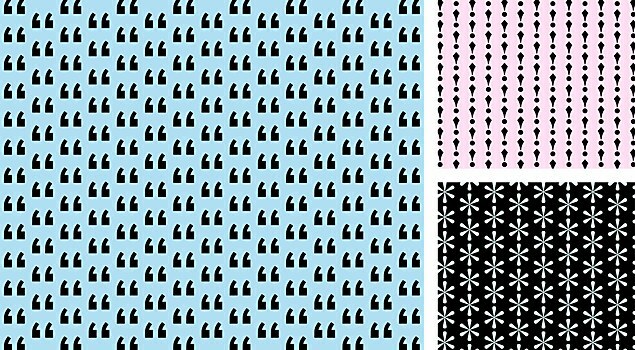 Visual influences: Once we had our solution, the choice of typeface was a crucial visual component. We decided that a boldly curvy serif face was the right direction and we were happy to discover the typeface Monday Bold by foundry A2-Type, which had a huge impact on the aesthetic. 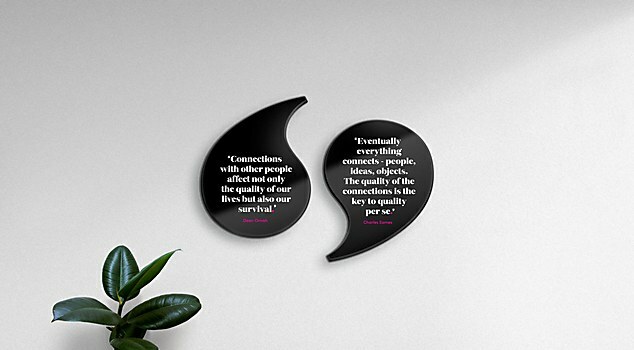 In terms of other influences, you might detect a hint of Herb Lubalin’s gorgeous typographic work in our solution. Specific demands: During the very early stages of the project, AGL’s founder Anthony Gordon Lennox had just died. As you’d imagine, this was a huge loss to Anthony’s friends and colleagues at AGL. Happily, the client team—led by chief executive Dan Leatherdale—made the decision to carry on with the project, despite the challenging circumstances.